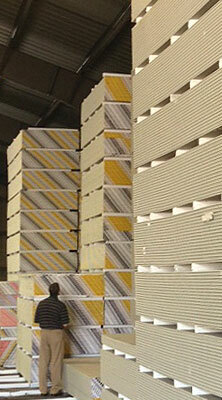 HBS Henrietta Building Supplies has been providing quality products and services to Rochester and the Northeast for nearly 4 decades. Offering almost every product line available, we have grown into a company that contractors can depend on for all their construction needs. When you make a purchase at HBS Henrietta Building Supplies, you’ll find incomparable service, high quality products, and a larger selection than anywhere else. We’re dedicated to serving you better. Every member of our staff has worked in the construction industry so they understand the problem that contractors face and how important it is for the right products to be delivered on time. They are ready to help you in every way possible and are qualified to answer any questions you may have. 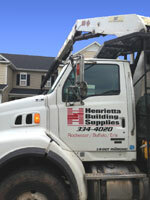 In addition, to our wide selection of building products, HBS Henrietta Building Supplies also offer a variety of specialized equipment services such as boom service, flat beds, and tractor trailers. We can make arrangements for crane service, enabling us to handle even the most difficult deliveries. We also offer a product search service where we will do our best to located any unusual products or specialty items that you many need. The mission of our family of companies, management, employees and associates is to promote and support the construction industry by selling building products and other value added services honestly, ethically, and fairly to our customers.